We're lucky to have so many food choices today, but the time for this luxury is soon going to run out. The world's future population will just be too large to continue eating like this and Merck wants to find the solution. The projections show that feeding a world population of 9.1 billion people in 2050 would require raising overall food production by some 70 percent between 2005 and 2050. This will only be possible by applying unconventional highly innovative new technology. 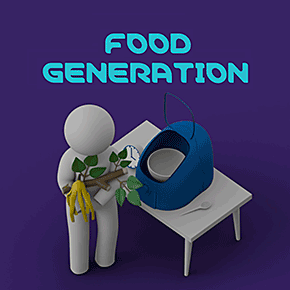 The dream product converts any nonedible biomass into readily edible fully nutritional food within one day without any biohazard.